This site is for anybody visiting, or planning to visit Langebaan and the West Coast, and is looking for the different things to do. 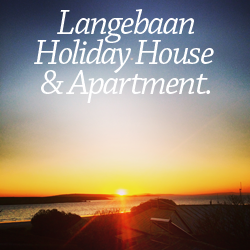 If you are connecting via a smart phone iphone, blackberry or android goto www.langebaan.mobi otherwise simply click on the links above. If you have an activity that you offer on the West Coast, simply email me db@pencil.co.za and I will add it to our listing.